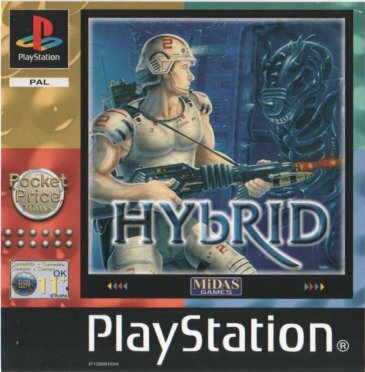 “Hybrid” is a sci-fi FPS game for the Playstation One. Interestingly, this game seems to have been released in 2001 [Re-released in 2001. Looking online, I learnt that it was originally released in 1997 by a company called Motivetime. This review was originally written under the assumption that it was a 90s-style game made by Midas Games in the early 2000s, which would have been seriously cool], which would indicate that it was probably one of the last few games made for this console before everyone moved on to the Playstation Two. Appearances can be deceptive. When I found this game hiding behind a pile of DVDs in the corner of my room (while I was looking for something else), I wasn’t particularly optimistic about it. The cover art looked kind of cheesy, the screenshots on the back cover looked kind of generic and, worst of all, there was a small logo on the front cover informing me that it was part of Midas Games’ “Pocket Price” range. 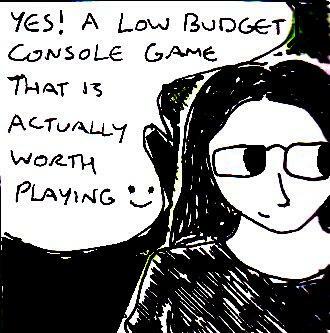 Needless to say, my past experiences with low-budget console games haven’t been entirely great. 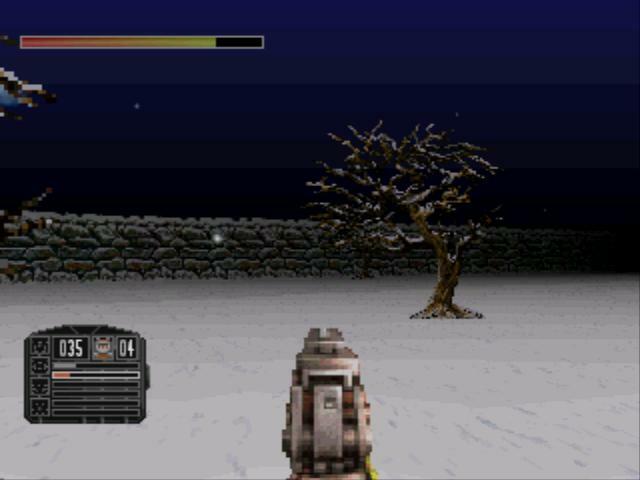 But, out of morbid curiosity (and since it was a FPS game), I decided to at least take a look at “Hybrid” (using the “ePSXe” emulator). To my surprise, I found a low-budget game that had actually been made properly and designed fairly well (and which could also teach low-budget game companies a lesson or two). But, more on that later. “Hybrid” starts with a brief CGI cutscene showing a futuristic soldier being dropped off near a building. 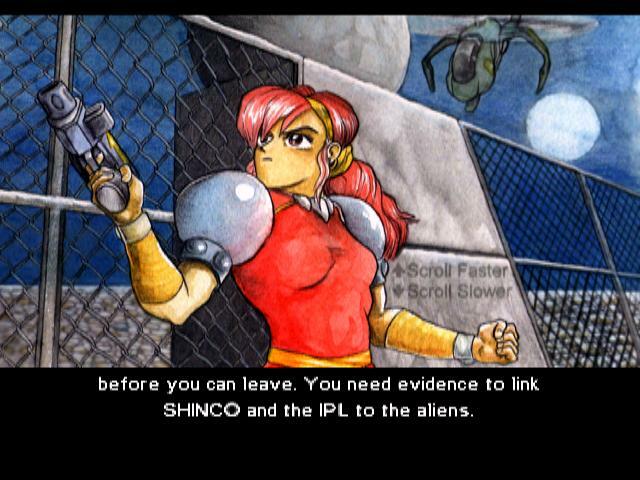 It then cuts to a scrolling text cutscene which explains some of the backstory to the game – basically, it is set in a dystopic future which has been bought about due to various genetics experiments and due to contact with hostile aliens. Although I’ve summed it up fairly briefly here, the backstory is actually surprisingly detailed for an old game. As soon as the title screen appeared, I started to feel a bit less pessimistic. It had a really cool cyberpunk kind of look to it and the background music, whilst nothing special, wasn’t exactly terrible either. However, the thing that really caught me by surprise was the fact that you could choose a character. Apart from “Rise Of The Triad” and the “Left 4 Dead” games, I’ve hardly ever seen this feature in a FPS game and it is most welcome. 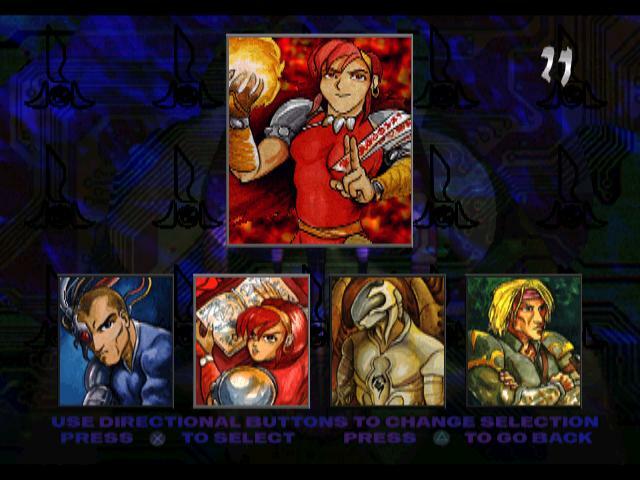 Especially since the four characters actually appear to be different characters, but more on that later. I mostly played as this character. When you’ve selected your character (and, for some bizarre reason, you only have thirty seconds to do this), the game will give you a short introductory “cutscene”. I used inverted commas because the “cutscenes” actually just consist of an anime-style picture and some scrolling text. But, since it’s a low-budget game, there are four characters and lots of these scenes, it would have probably been unfeasable to make animated scenes. Not to mention that, by using these types of cutscenes, Midas Games Motivetime were able to keep the loading times fairly short as well. These “cutscenes” also appear between each level too and this is a pretty cool feature for an old game. Not to mention that they’re easily skipped/fast-forwarded if you can’t be bothered with the story. The “cutscene” between the first two levels. One of the really cool things about this game is that each of the characters have totally different weapons and, from what I’ve played so far, item and enemy placements also differ slightly depending on which character you choose. Since the blurb on the back of the game says that it contains 24 weapons, I can only assume that this means that there are six for each character. Whilst this is a slightly low number of weapons, it’s more than made up for by the fact that each character has totally different weapons. Honestly, this is the first time I’ve ever seen something like this in a FPS game. As for the quality of the voice-acting, it isn’t amazing, but it isn’t terrible either. I’ve only heard a couple of lines from some of the other characters, but one of them has a rather generic “robotic” voice and one of the other characters seems to have a Scottish accent (which is even more of a rarity in FPS games). 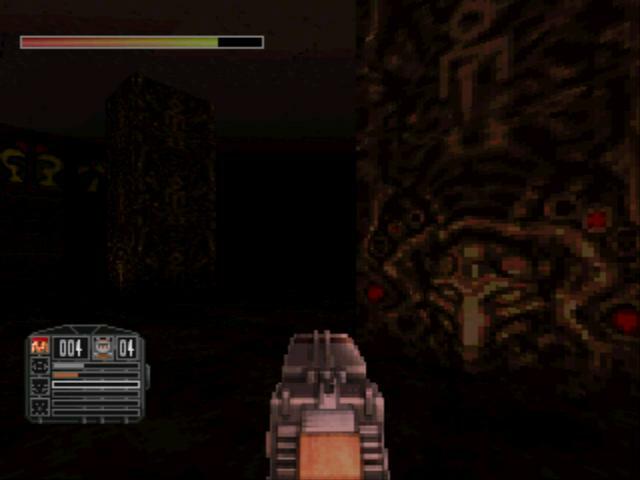 The gameplay in “Hybrid” is fairly standard old-school 1990s FPS gameplay – you explore each level, search for keys and shoot anything that moves. 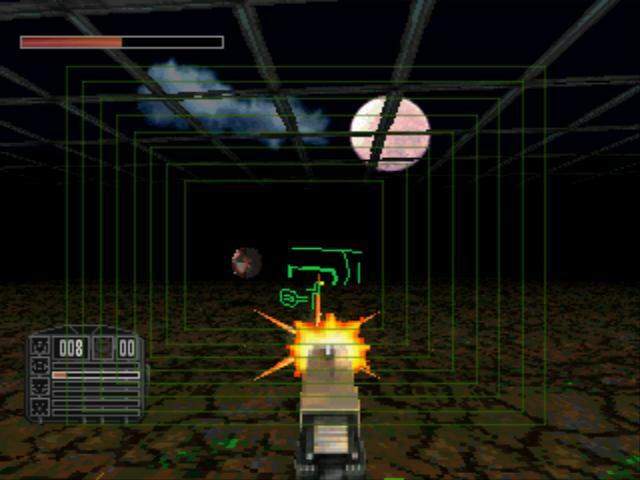 I’m not sure which game engine Midas Games Motivetime used in “Hybrid”, since the aiming is done in a similar way to “Doom” (eg: you only need to aim horizontally) but some of the enemies seem to be actual 3D models (rather than sprites) and you can actually jump too. If, like me, you’re a fan of old-school FPS games, then the gameplay in “Hybrid” will look very familiar. 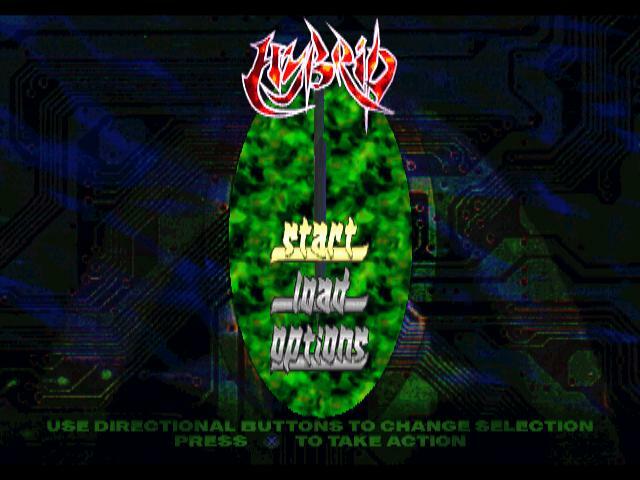 The level design in “Hybrid” is also surprisingly good too and, like in all old games, the levels I’ve played seem to be fairly non-linear and involve a lot of exploration and searching (especially since some of the switches you need to press occasionally blend in quite well with the background). There are also secret areas which can be found if you look carefully. 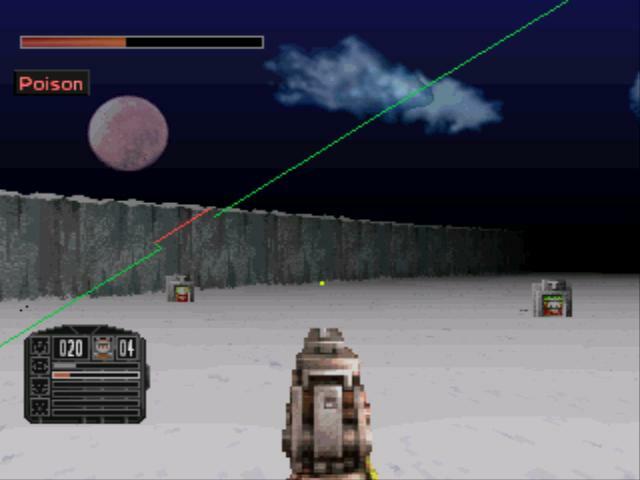 The second level also seems to be fiendishly difficult – even if you check the level map constantly (yes, like all old FPS games, “Hybrid” has a map feature – anyone remember those). And, since there don’t seem to be any walkthroughs for it online, you may well get stuck on this level. Honestly, it’s a pretty damning indictment of the modern gaming industry when a low-budget FPS game from 2001 game from 1997 actually features better and more interesting level design than many modern high-budget FPS games seem to do. Another cool little feature that I noticed when I was playing “Hybrid” was that some of the items will actually harm you when you try to pick them up. The only other place I’ve seen something even vaguely similar to this is in “Duke Nukem II” (a 2D platform game). Again, this is a pretty cool innovation for a FPS game. Yes, this game actually comes from the tradition of FPS-making when game designers actually tried to be slightly innovative. They look like health packs, BUT….. Likewise, some of the robot enemies will just stand still once you’ve killed them (I’m not sure if this means that they are just stunned or not – I didn’t hang around long enough to find out). If you keep shooting them, then they will explode and catch fire and you’ll actually take damage if you walk over them. It’s a really small detail, but it’s adds a bit to the general realism of the game. All in all, “Hybrid” is an example of how to make low-budget games properly. It just takes a tried-and-tested type of game engine and sees what it can do to improve and innovate with it. Instead of wasting time and money with fancy graphics, Midas Games (?) Motivetime have quite rightly channelled their resources into making a modest, but highly entertaining and extremely playable, game. Even high-budget game developers could learn something from “Hybrid”. If I had to give “Hybrid” a rating out of five (from what I’ve played so far), then it would get at least a four. This entry was posted in Reviews and tagged FPS, Game, Hybrid, Playstation One, review.